Download it in a PDF version and print it at their convenience. Useful tips and recommendations to prepare a successful project application. 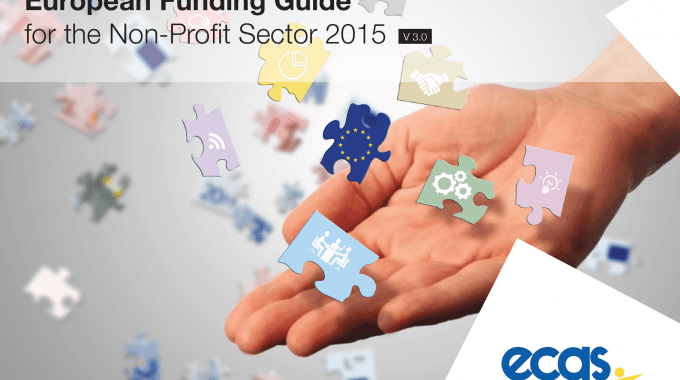 A expanded list of more than 70 non-EU Funding sources, including international organisations, national and regional foundations and private donors. This Guide is part of the package of services we offer to our members and will be directly accessible on the Members Room. Non-Members will be also able to purchase it for EUR 59 on ECAS homepage, either by bank transfer or by credit card (or Pay Pal). Consult our Membes Area if you wish to become a member and have access to additional services we provide such as our monthly Newsletter and funding alerts, a help-desk for funding opportunities and calls, customized advice and assistance on EU funding and many more services upon request.